You are my inspiration, my motivation; you are my life. I awake each morning to warm thoughts of you. I can now see all your beauty and wonders of my world around. Where the music is ringing!! Nothing can touch it so high!! Nobody can reach without a key!! Only for you My Dear Baba!!! Baba Give us ur love and bless us so that we remain engrossed in YOUR bliss unmindful of other things. What you are posting - its simply great stiffs. Thank you very much Ramesh JI. Are flying like papers in the wind. I couldn't help, but think of HIM all the time. And took away all my fears. And offered me a love that's more than I could stand. HE gave me the world. … Just to catch another glimpse. Just want to let you know .. how the gods are smiling on U .
walking towards the sai temple near our house It just takes me 5 minutes by walk. And after that you know what i show in the sky above .. I was so happy i said - Look Ma god has chosen the poem of Ramesh ji and he is indeed blessed - How blesssed is Ramesh ji I said.. Immediately i wanted to convey to Ramesh ji that his poems are seen in the vibrant sky in blore all lit with golden lining all letters illuminated in the best possible way - i dont remember ramesh ji 's number so then i immediately sms Dipika ji and say "please tell ramesh ji - that his poems are getting colorfully displayed in the sky above , we can see it in blore and what a beautiful feeling it was..
UR always reading Ramesh ji'poems ,So Sai baba blessed u with Same. Ramesh ji ur a truly blessed soul. 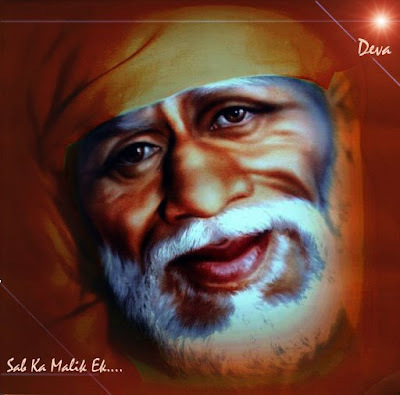 Sai baba Thankyou for bringing me to this form. Wonderful to read all this.Infact the amount of love and devotion you have within you reflects.The inner feelings also reflect.How touched you are with the true words of Ramesh Ji also reflect.It doesn't happen to everyone.It happens to true devotees of Baba. Blessed are U and blessed is Ramesh Ji. Shammiji you are really more than blessed that BABA is giving you these signs in your dreams. It is the way of BABA to give his love to truely blessed souls like you. After going through such type of dreams/experiences don't ever bite your fingers. These are your treasure troves. Every true devotees often gets this type of experience but my suggestions to you is that just enjoy these and keep them in your treasury and close to your heart and discuss only with blessed souls in private only. These experiences are directly been sent to you by BABA and to be experienced by you only. You know all these contains HIS energy and HIS vibration and in ignorance we go on discussing these with all and sundry with the result all their energy gets dispersed. I often experience these miracle sign but I consider MY BABA beyond all these miracles. That is why I have not posted any of my miracle in this forum. Otherwise my life is full of BABA's........So keep on enjoying BABA's Vibrant Energy and be ready for the happier blessed future. MAY BABA BLESS ALL DEVOTEES LIKE SHAMMIJI!! !